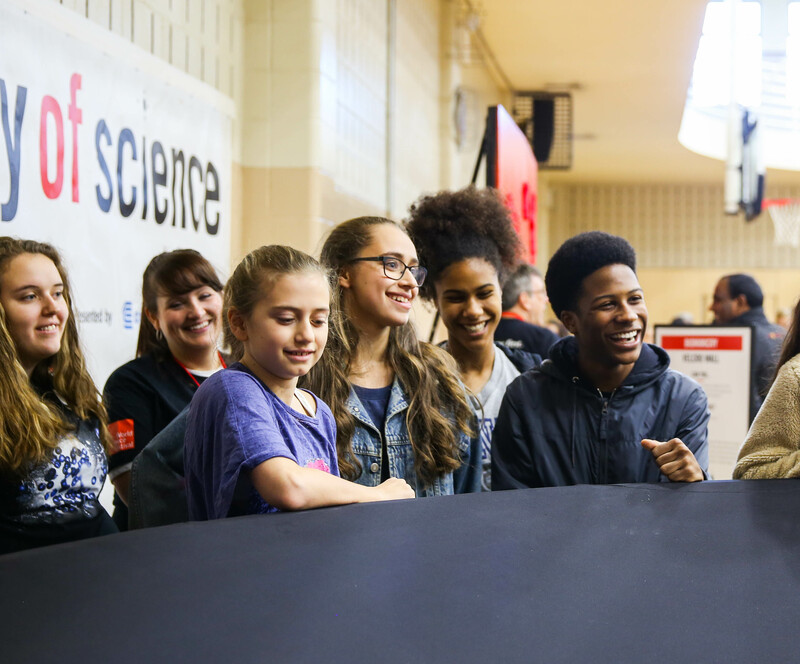 City of Science Premieres in New Jersey for High School Students! 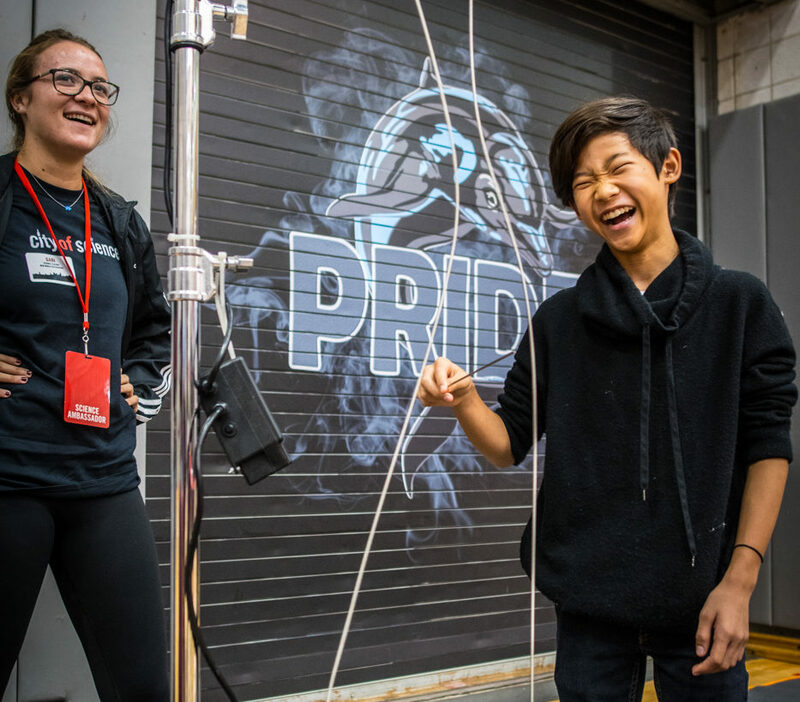 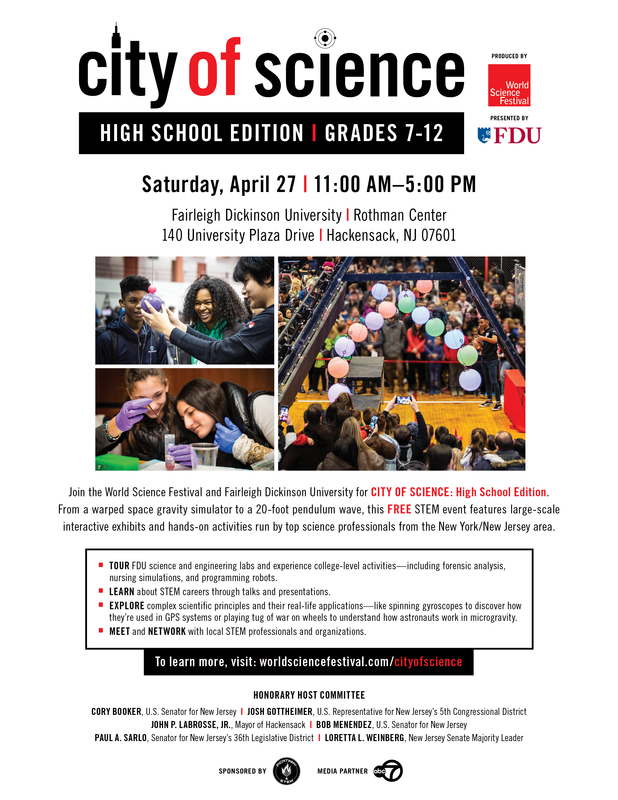 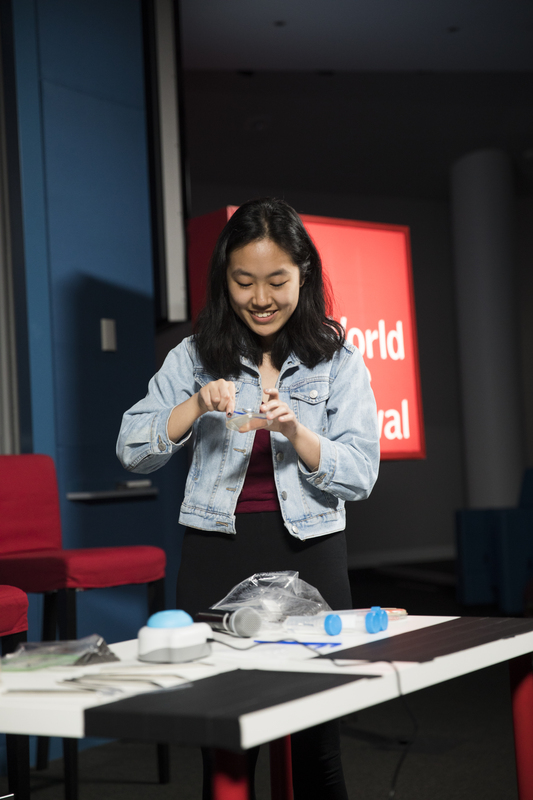 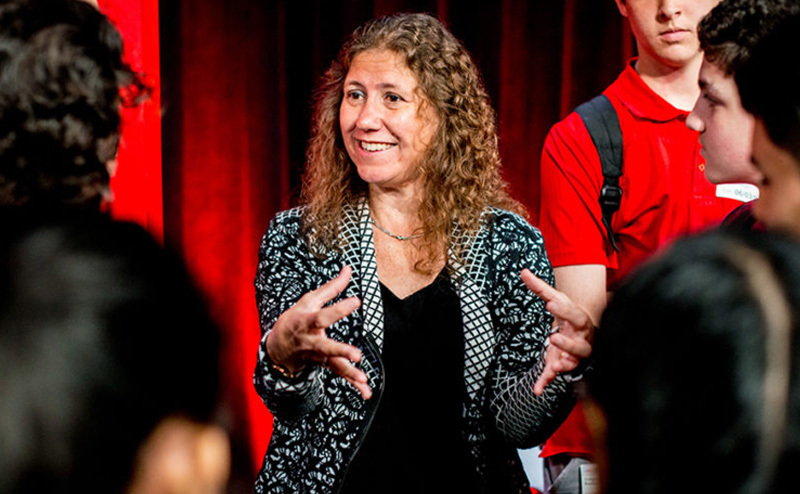 Join the World Science Festival and Fairleigh Dickinson University for City of Science: High School Edition. 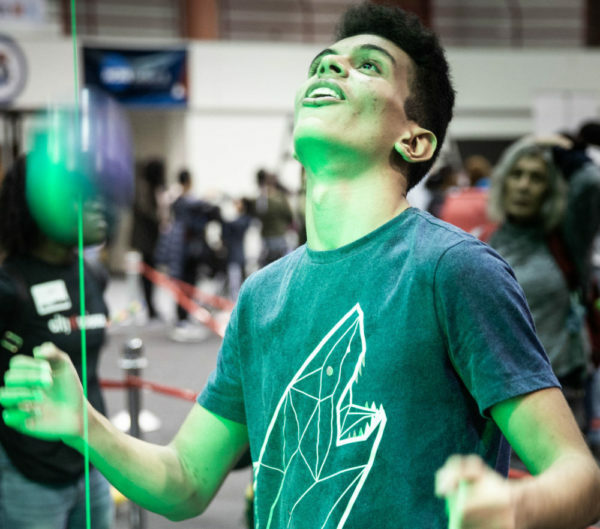 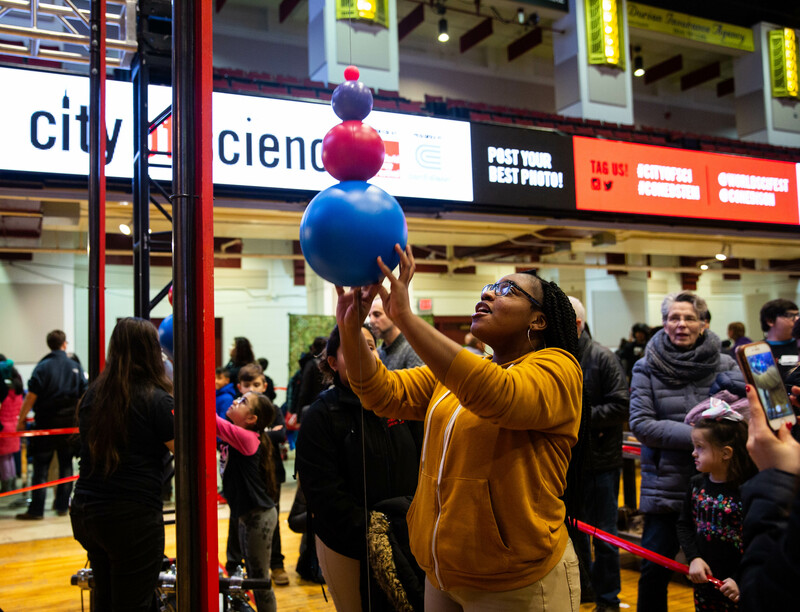 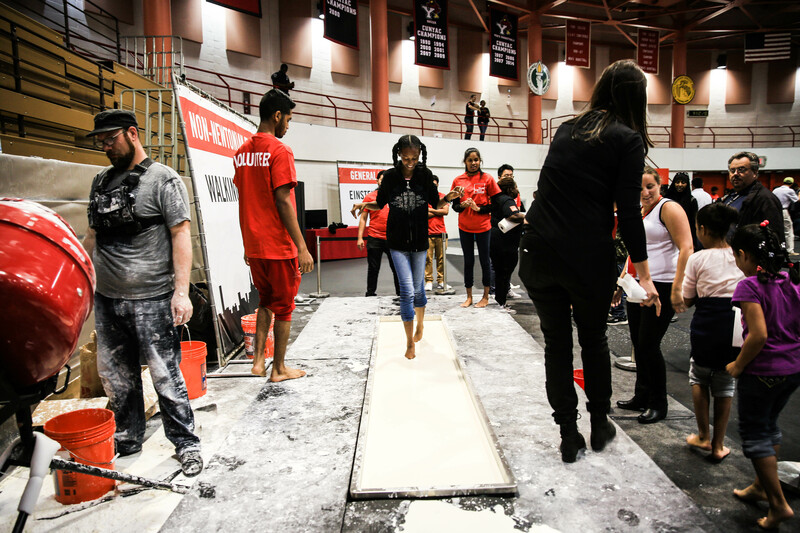 From a warped space gravity simulator to a 20-foot pendulum wave, this FREE STEM event features large-scale interactive exhibits and hands-on activities run by top science professionals from the New York/New Jersey area. 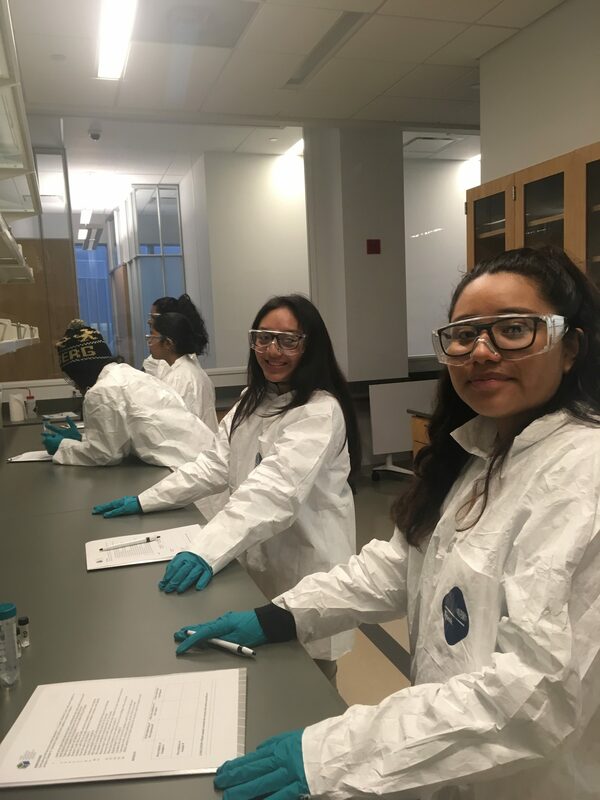 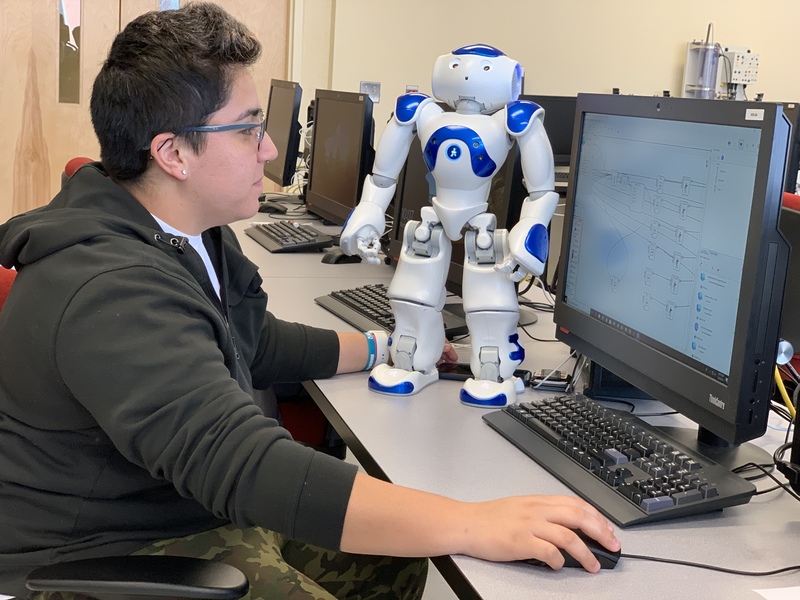 + TOUR FDU science and engineering labs and experience college-level activities—including forensic analysis, nursing simulations, and programming robots. 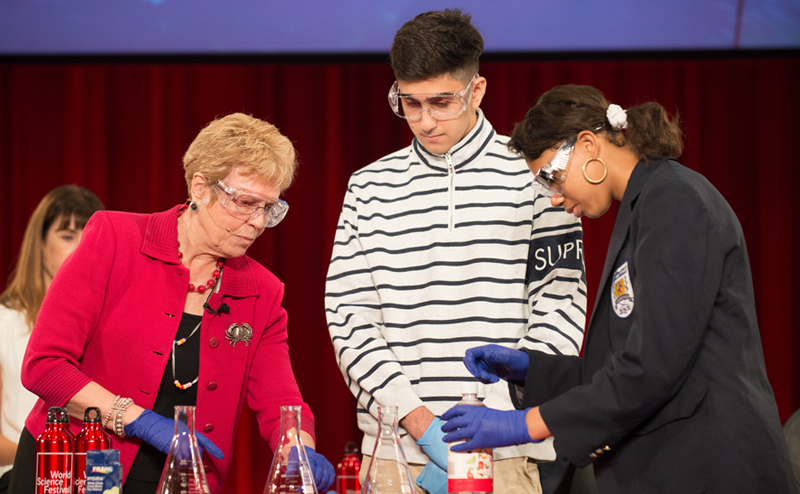 + LEARN about STEM careers through talks and presentations. 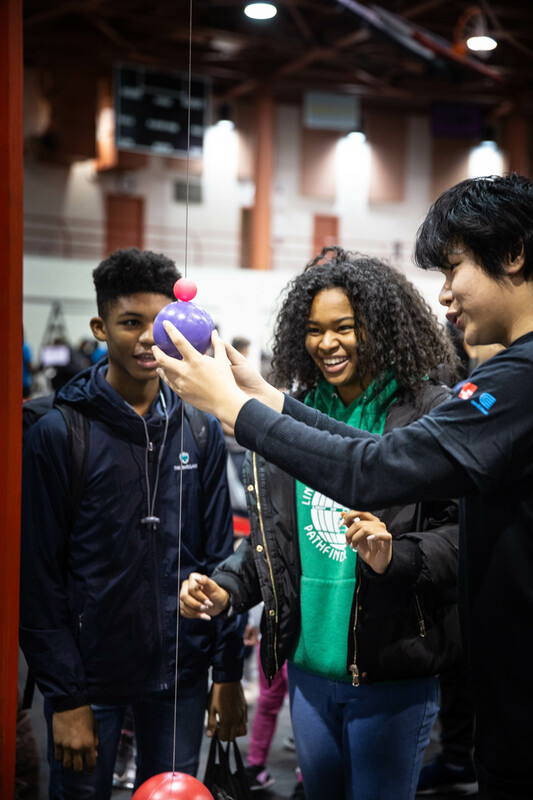 + EXPLORE complex scientific principles and their real-life applications—like spinning gyroscopes to discover how they’re used in GPS systems or playing tug of war on wheels to understand how astronauts work in microgravity. 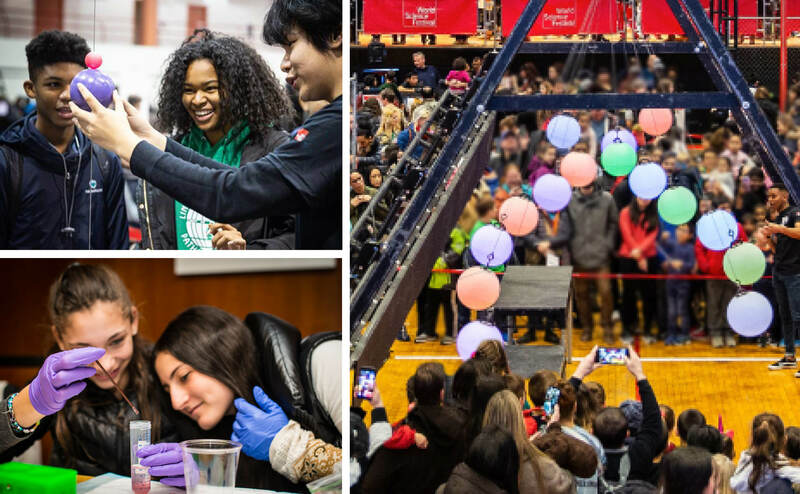 + MEET and NETWORK with local STEM professionals and organizations. 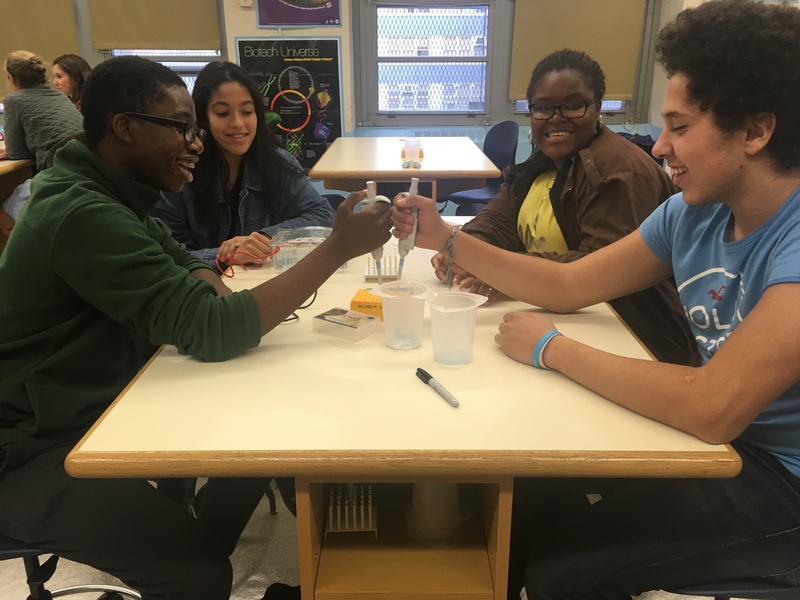 City of Science is FREE and recommended for students in Grades 7-12. 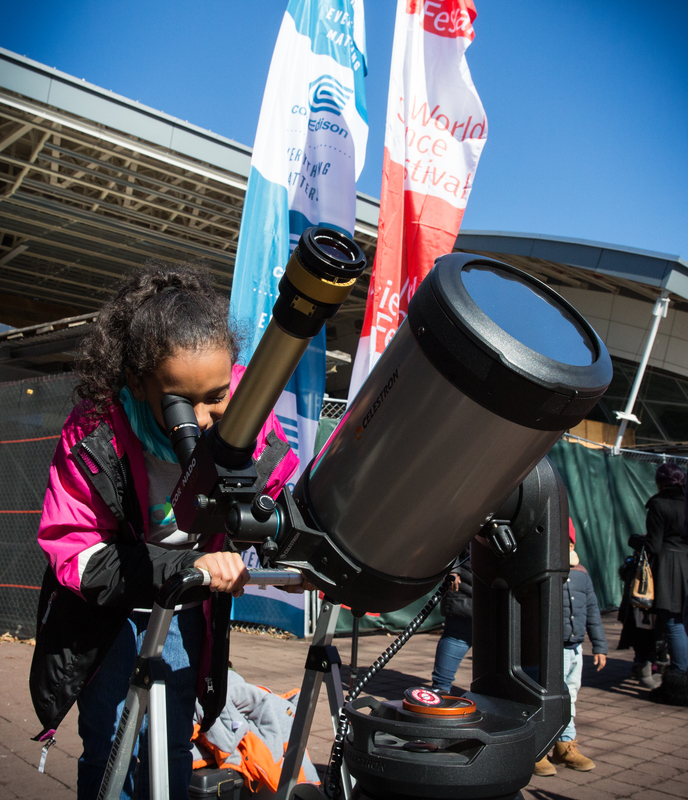 + RSVP HERE to let us know you’re coming and be entered to win: signed books by Brian Greene and Astronaut Greg Olsen, complimentary passes to Liberty Science Center, and more! 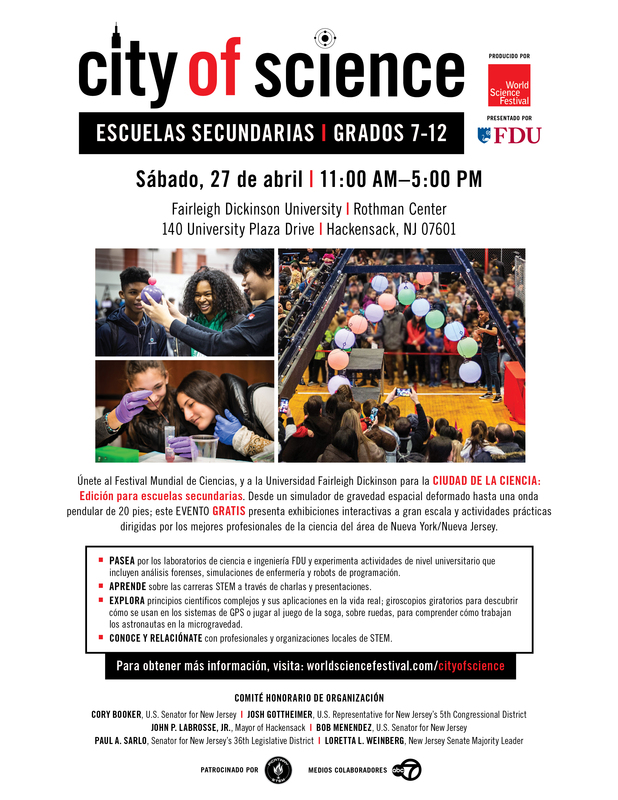 Download Event Flyer in English or Spanish. 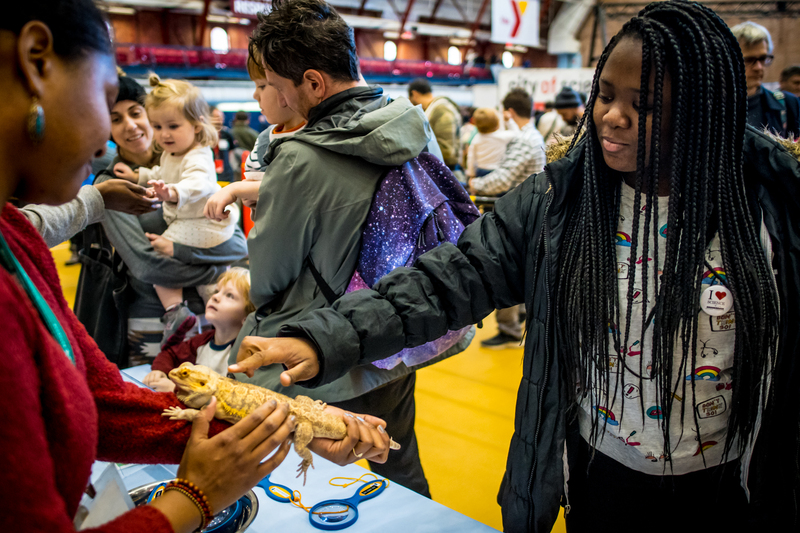 Questions: Email education@worldsciencefestival.com, call 212.348.1400, or visit our City of Science hub page for details about our other City of Science events. 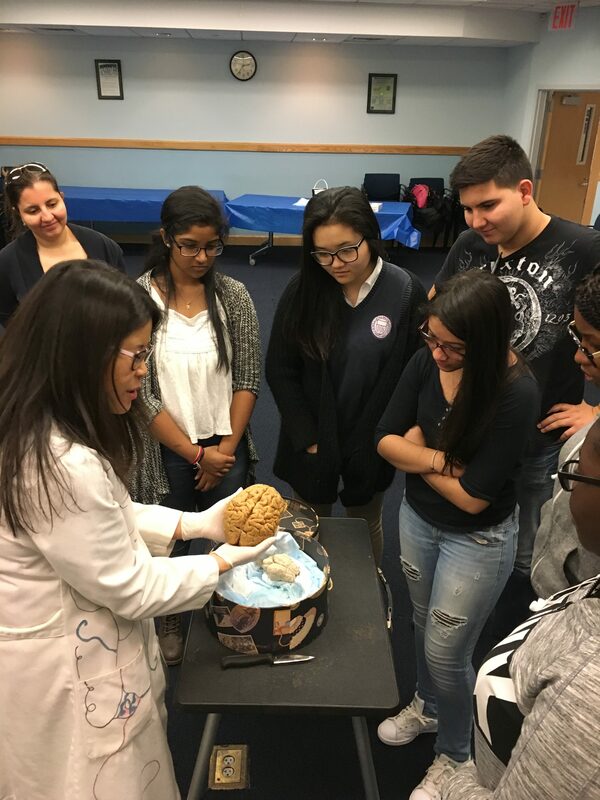 Presented by Fairleigh Dickinson University. 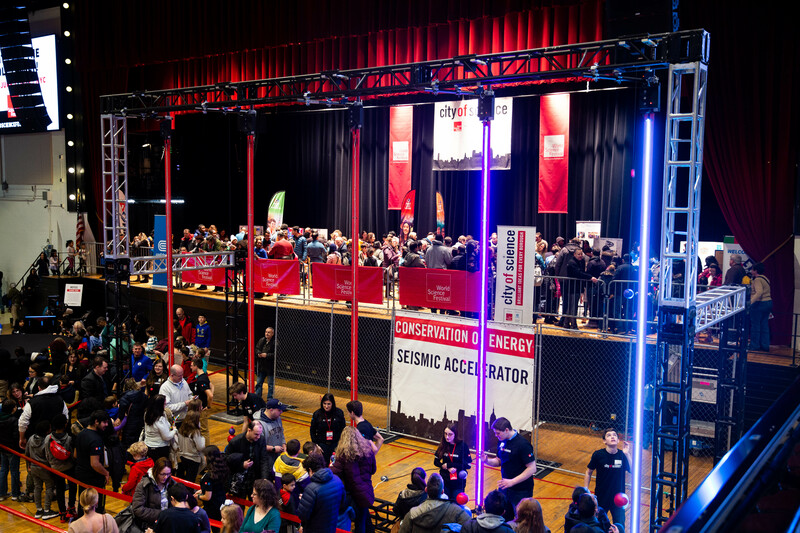 Sponsored by Picatinny Arsenal and Orange & Rockland. 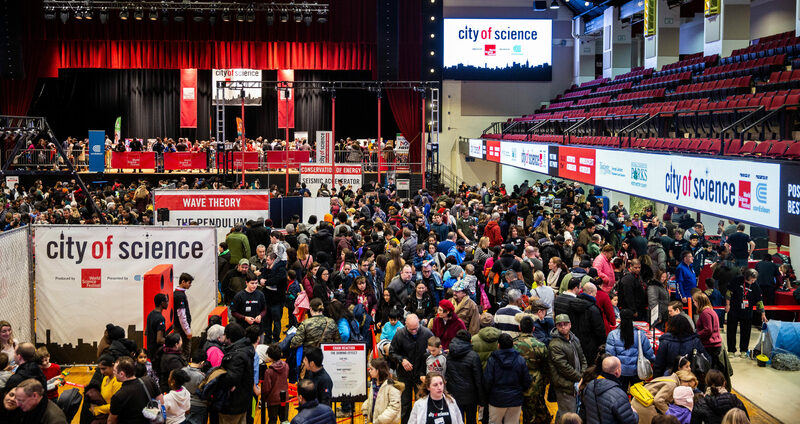 If you’re a scientist or science educator and are interested in taking charge of a City of Science exhibit, fill out our application form or send us an email at education@worldsciencefestival.com.